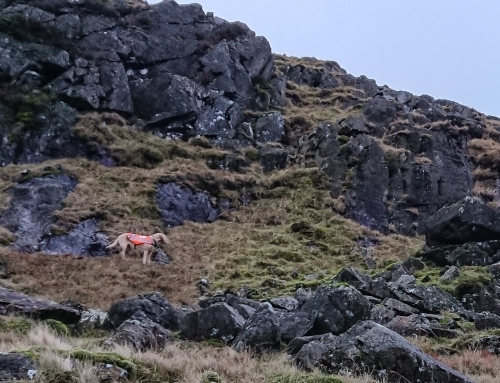 A group of 4 people became benighted in heay rain & mist on Dove Crag. 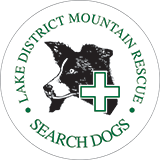 Langdale Ambleside and Patterdale MRTs went out to find them, having got a fix through the SARLOC system. 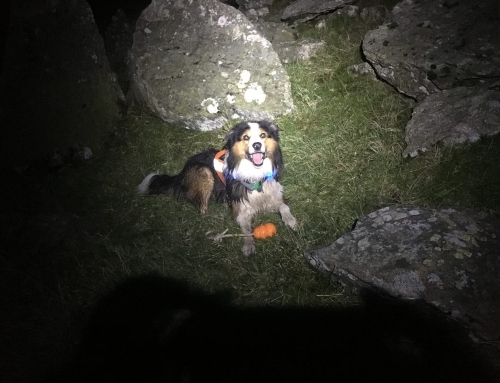 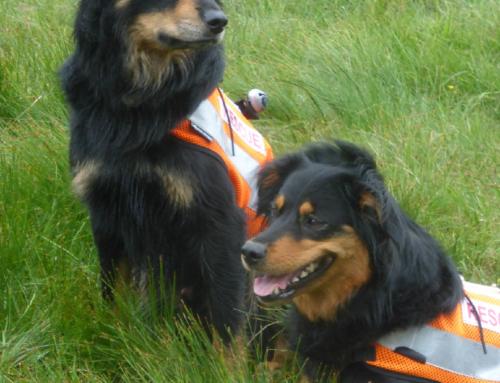 The search dog handler was asked to cover an alternative route to the scene, and be available in the event that they were not at the location. 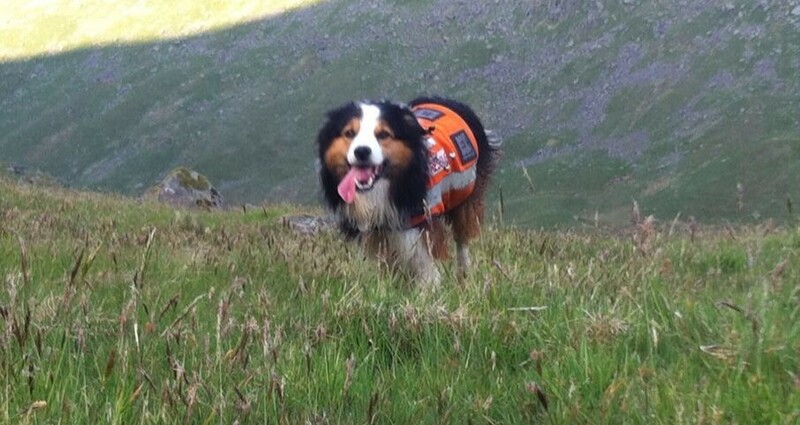 Team members located them near to the SARLOC site, and escorted them down to Patterdale. 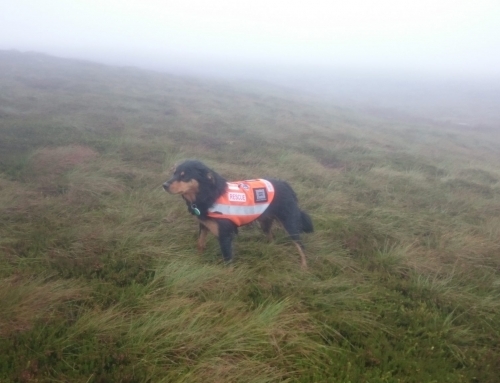 A very wet Search Dog Ted, on his 90th callout, and his handler were recalled.